4WD rental in Australia is a great experience, but don’t underestimate a 4wd adventure through the Yukon in Canada or through Southern Africa! Below you will find the different types of 4WD campers we have on offer from our large vehicle suppliers Apollo, Canadream, Roadbear, Fraserway, Cheapa and Britz. We offer these usually at reduced rates. There are also a large number of price-quality wise very interesting budget alternatives. These vehicles are usually slightly older than flagship models but mechanically sound. This means that these vehicles can be rented at considerably lower rates as well as lower insurance excess and security bond. Since 1997, Totally4WDCampers has teamed up with an extensive network of trustworthy and enthusiastic rental companies. These rental companies offer vehicles all around the Australian Continent, as well as in New Zealand. 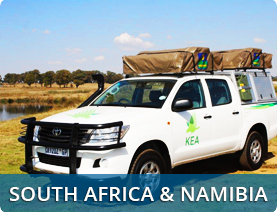 Since 2012 we also offer 4WD campers in America, Canada and South Africa/Namibia. Contact us now for an obligation-free quote, you will be surprised by our low rates and personalized service. 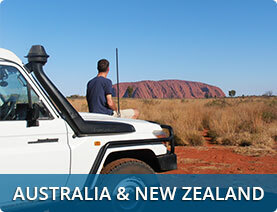 can explore the rough beauty of Australia’s outback without any problems. Without a 4WD camper this fascinating country would not be accessible. At Totally4wdCampers we have brought all 4WD rental companies together in one spot so that, with our personalised advice you can rent the best camper for your trip through Australia. We’d love to let you in on some tips on how to get the most out of your 4WD trip. Travelling by 4×4 is after all our own favourite way of exploring Australia! Exploring New Zealand in a normal camper is already an amazing experience, but with a 4WD camper you can really go anywhere. Although New Zealand has a very well established road network it’s always more fun to take the off-road route to your destination. With a 4WD camper you can access the most beautiful parts of New Zealand. There, you can relax and enjoy the peace and tranquillity of the impressive scenery. Totally4WDCampers can offer the ideal camper for your 4WD trip through New Zealand. To experience the real Canada you need a 4WD camper. Spending the night in the middle of nowhere where normal campers have no access. 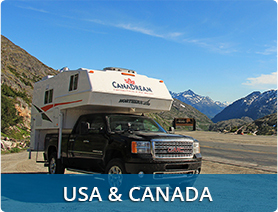 Totally4WDCampers helps you through personal contact to decide what is the best 4WD camper for your Canadian holiday. Through our close contact with the best suppliers of 4WD campers in Canada we can offer you the best deals. But more importantly, the 4WD camper that fits perfectly with your planned trip through Canada. When you hear South-Africa and Namibia most people immediately think of a 4WD car, but the experience will be even better with a 4WD camper. Totally4wdCampers.com offer either. The ability to take your bed with you wherever you go allows you to spend the night in the most beautiful places of South-Africa and Namibia. Many of the campers we have on offer come equipped with roof tents which are simple and quick to set up. At Totally4WDCampers we have brought the best suppliers of 4WD campers in South-Africa and Namibia all in one place so that you can choose the perfect 4×4 camper for your trip through South-Africa and Namibia.